(Newser) – Poland's Internal Security Agency has charged a Chinese manager at tech giant Huawei in Poland and one of its own former officers with espionage on behalf of China, state broadcaster TVP reported Friday. Both men were arrested Tuesday. Polish security agents searched their homes as well as the offices of Huawei and Orange, Poland's leading communications provider, where the Pole had recently worked, seizing documents and electronic data, reports the AP. 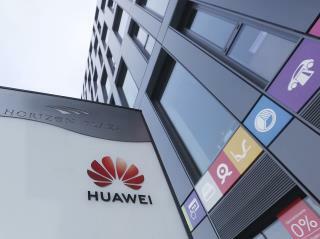 The development comes as a US dispute with China over a 2012-installed ban on Huawei is spilling over to Europe, the company's biggest foreign market, where some countries are also starting to shun its network systems over concerns that they could be exposed to snooping by the Chinese government. The deputy head of Poland's special service said the operation that resulted in the arrests had been long underway. Polish state TV identified the Chinese man as Weijing W., saying he was a director in Poland at Huawei. Also going by the Polish first name Stanislaw, he previously worked at the Chinese consulate. State TV identified the Pole as Piotr D., who left the ISA as deputy director in the department of information security in 2011. TVP said the men—whose last names cannot be published ahead of trial under Polish law—have not pleaded guilty and are refusing to give testimony in the case. If convicted, they could face up to 10 years in prison. Huawei has issued a statement from its Chinese headquarters, noting it requires "every employee to abide by the laws and regulations in the countries where they are based." The guy was just doing his job. Huawei of course must fire him, while pay off his family well. "10 years in prison?" If the roles were reversed, they would be on the operating table in China for their organ donation surgeries. China can keep it's Huawei mobile phone , no thanks for me. The Chinese should be more creative to be inventive instead of stealing technologies from the west. What a bunch of low lives.